DHR Industries, Inc. "The Doc-Box®"
From our unique Doc-Box® document posting system to our decals and signage, the quality and consistency of our products have been stand outs for nearly three decades. Customer service and satisfaction is our valued signature and tradition. Job sites across the nation have something in common: they need a secure, weather-resistant container to post and protect required legal notices, permits, schedules, and project plans or other materials. We at DHR Industries are proud to exclusively offer you what we consider to be the premier product of the industry. 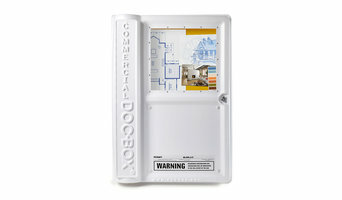 The Doc-Box®, the original permit posting system, debuted nearly 30 years ago. Our family of satisfied customers has consistently grown across the decades. As a self-contained permit posting system, The Doc-Box® works for indoor or outdoor use—and, its extreme durability makes it more economical than temporary or handmade posting boards. Field-proven, rugged, and weather-resistant, the Doc-Box® by DHR Industries, Inc. addresses your company’s need for a posting unit in any location. The popularity of Doc-Box products is attributed to the fact they are weatherproof as well as tamper proof. As a result, they come handy in both indoor and outdoor conditions. Amongst the products available are the Original Doc-Box, the Junior Doc-Box, the Commercial Doc-Box, and All Weather Bulletin Board. We use high quality HDPE for creating the main body, and polycarbonate for the windows, which makes our products weatherproof. All our products adhere to the community signage limits. The hinges too have been repeatedly tested for multiple openings and closings. Customers can add additional locking mechanism to further ensure safety of the documents. We also design shatter proof sealed windows for protection against vandals. All posting solutions can be further customized with your company name on them. 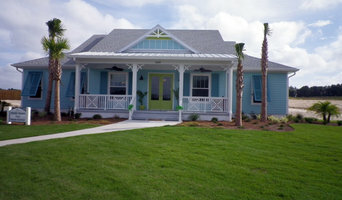 BK Cypress Log Homes is a family owned and operated log home manufacturer located in historic Bronson, Florida. We specialize in custom-built log homes made exclusively from Tidewater Red Cypress, a wood that grows in the southern coastal wetlands. The family of BK Cypress has been manufacturing since the 1930’s, which makes it the nation’s oldest Tidewater Red Cypress log home manufacturer and the only one that grade stamps its logs. From the hard working crews at the sawmill to the home advisors, office personnel, and support staff, BK Cypress Log Homes' employees are committed to providing exceptional customer service. Our goal is to supply superior quality and lasting value in every log home we build. With more than 80 years of experience in the Tidewater Red Cypress industry, the family of BK Cypress Log Homes is uniquely qualified to make your log home dream come true. Here at BK Cypress Log Homes we can supply all of your log home needs. Our design department can create your dream log home, or we can take your existing log home plans and supply all of your cypress needs based on your plans. 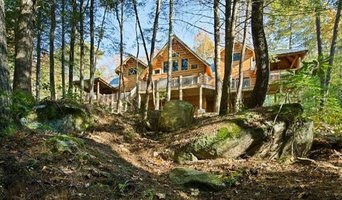 We customize your log home package based on your wants and budget. You can order the best logs money can buy. This can range from our older growth cypress milled logs, to a fully exposed roof system completely made from cypress. We start with our basic log home kit, which isn't very basic, with Andersen windows included. Then you tell us the type of roof system and what unique cypress design features you want to add, and we have your completely customized dream log home package. We hope we can make your log home dream become a reality. If you have the dream, then we can create the log home plans, put together a customized log home package, and make your vision come true while using the best logs money can buy. Finyl Sales, Inc. manufactures decorative exterior elements that include but are not limited to: shutters, louvers, pergolas, trellis, arbors, columns, railings, and decorative gingerbread trim. 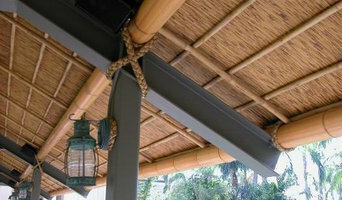 All products are made from low maintenance vinyl and cellular PVC (Azek). The festival of Mother’s Day is based on the emotions shared between a Mother and her child. Celebrating mother’s day is a very good way to show our gratitude towards our Mother. Mother’s always do everything for us and she never think it’s tough or easy and we should also do everything for her because she deserves for everything. Send Mother’s Day Flowers to Spain and make your dear Mother realize how important they are in your life. There is a team of professionals at Locksmith Land O’ Lakes that has one primary goal in mind, and that is to make sure that locals in Land O Lakes, Florida have access to quality automotive, commercial and residential lock and security services. We achieve this goal by working with quality lock brands (Ilco, Kaba, ASSA, Baldwin, Arrow, Falcon and Yale are some of our favorites) and by extensively training the technicians who work for us. Locals who use us for services like key duplication, lock installation, rekeying locks, break-in repairs, high security sidewinders, mailbox locks, cabinet locks, upgrades, repairs and more can trust that the job will be done with expertise. Lockout assistance is provided too, thanks to the fact that we are willing to work 24 hours a day, 7 days a week if needed. Call us at any time that locksmith assistance is needed, and you will find the help that you deserve. 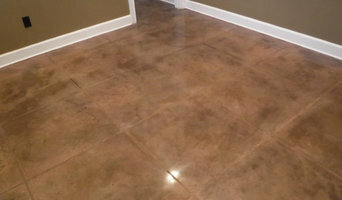 Our prices are low, too, and you can see for yourself by calling for a free price estimate. Locksmith Land O’Lakes hopes that you will call us for relevant assistance. Schedule a free consultation today! You will be glad you did. Ssquarewebdesigners.com is a directory dedicated to web designing related resources.You can add your company listing to our web designing Directory for free. Find lumber and building supplies on Houzz. Narrow your search for Citrus Hills, FL lumber supplies and building supplies by selecting the nearest city or zip code. Find trusted lumber companies and hardware suppliers with reviews from residential builders, interior designers and homeowners.